Merging duplicate contacts can be a time-consuming task as you transfer all the update information from one contact to another and delete the duplicate contact. 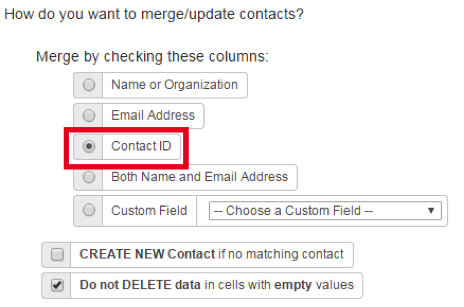 For this article, we will help you how to merge contacts. On the main page of Akubo, click the menu icon on the Contacts tile. Then click Helpful Lists, go to Find Duplicates > by Name. 1) If the duplicate contacts are not yet in group, then it is suggested that you grouped them. On the listing page of Duplicate Contacts, select all contacts then click Add to Group. 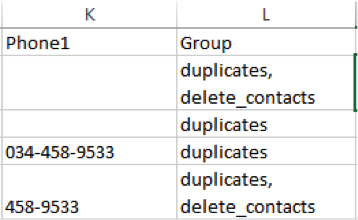 Create a group of duplicates. 2) On the main page of Akubo, click Others, then Import & Export. 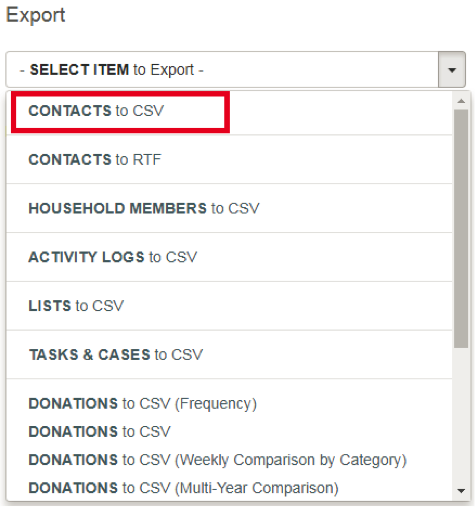 3) On the Export drop down menu, choose CONTACTS to CSV. 4) For contacts to export, choose the group with duplicate contacts. Then choose the fields you want to be included in the exported file. Don’t forget to choose ‘Contact ID’ and ‘Group’. 6) You can open the file on MS Excel and you can start merging the information of contacts. When you import back the contacts to Akubo to make it easy to identify which contact to delete, add a group under the Group column. Use comma as a separator. 7) After you merge the contacts on Excel, go back to the main page of Akubo. Click Others and ‘Import & Export’. 8) Under the Import drop-down menu, click UPDATE CONTACTS using Excel or CSV file. 9) Click Choose file and select the exported file that you updated, then click Upload. 10) Next step in matching the columns of the spreadsheet with the fields in the database. Matched columns will be in green. 11) On the Import settings ‘Merge by checking these columns’, select Contact ID. 13) To delete contacts, click the menu icon on the Contacts tile and click Groups. Select the ‘delete_contacts’ group and on the listing page, select all the contacts then click Delete.